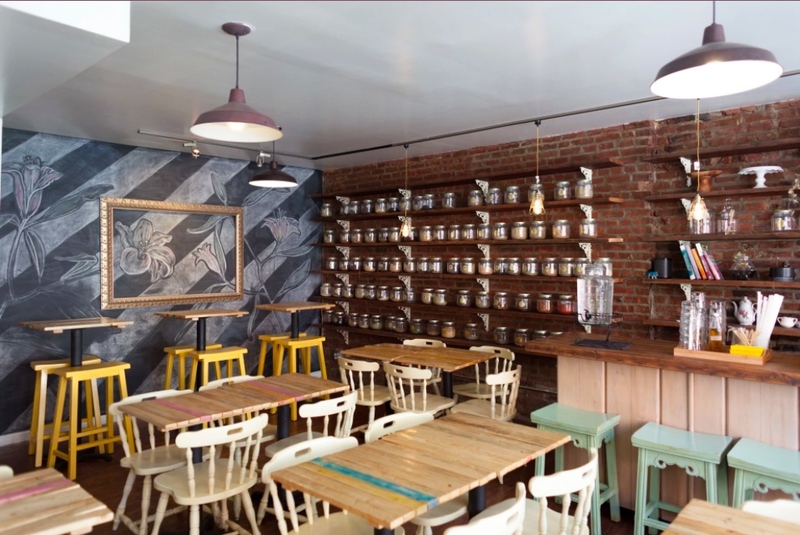 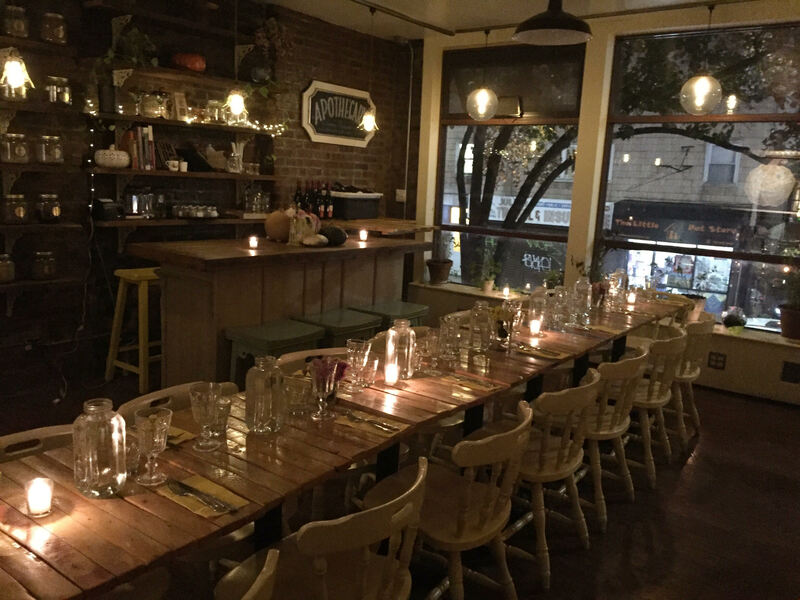 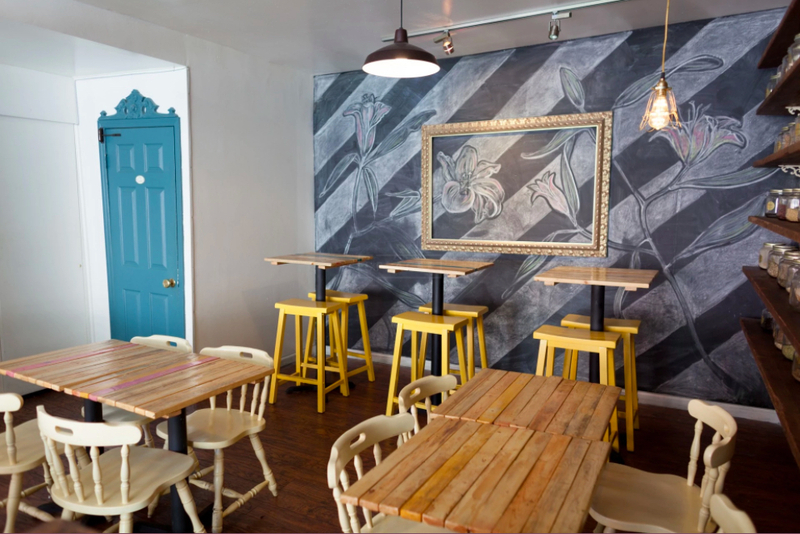 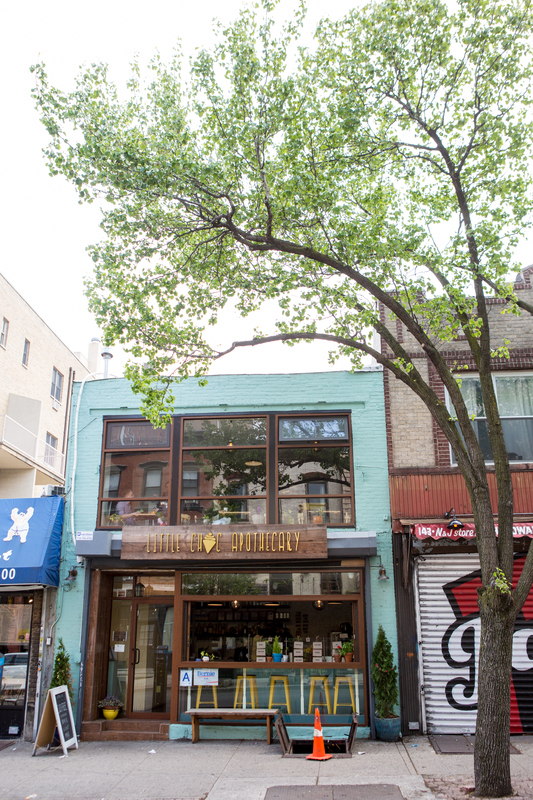 Little Choc Apothecary is a special place because it's NYC's first 100% vegan creperie. 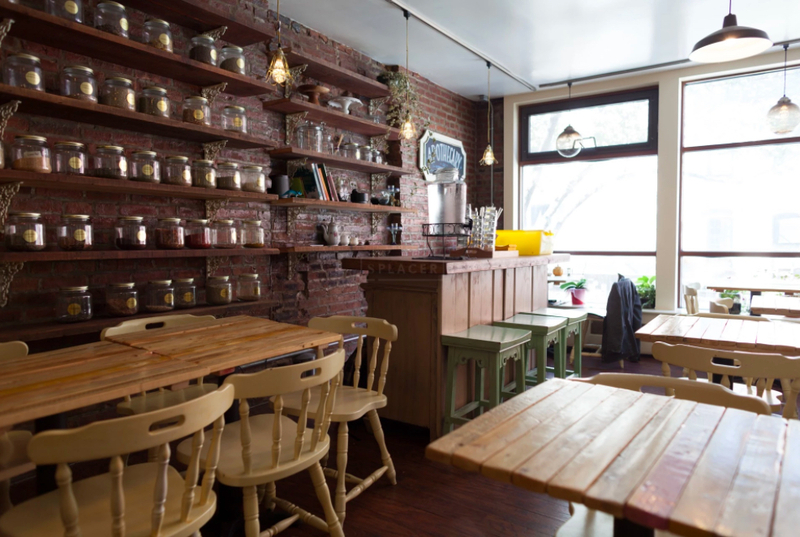 The space is two floors. 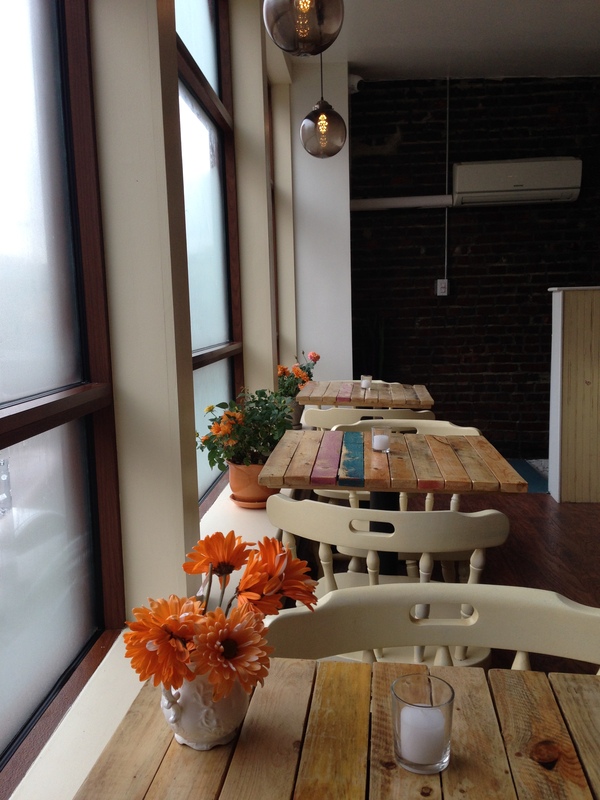 The upstairs dining area has a cozy, rustic decor, and large windows that fill the entire room with light, and provide a view of the seasonal foliage and blossoms on the large tree just outside the cafe.